Caroline Steinman Nunan “Carrie,” 85, of Lancaster passed away Sunday, July 25, 2010 at the Dartmouth Hitchcock Medical Center in Lebanon, NH. Born in Lancaster, she was the daughter of the late James Hale and Louise Tinsley Steinman. She was a graduate of the Shippen School for Girls in Lancaster, the Greenwood School in Maryland and the Katherine Gibbs School in New York. Carrie was a director of Steinman Enterprises, which includes Lancaster Newspapers Inc., owner of the Intelligencer Journal/Lancaster New Era, Sunday News, Lancaster Farming and Lancaster County Weeklies. Other Steinman Enterprises with which she was involved are the Intelligencer Printing Co., Delmarva Broadcasting Co., with radio stations in Delaware and Maryland, and Steinman Park Restaurant Inc. She was a partner in Steinman Development Co., owner of coal and gas lands in Virginia and Pennsylvania. Carrie was also the chairwoman of the James Hale Steinman Foundation, a private foundation created in December 1951 for the purpose of providing grants to tax-exempt nonprofit organizations, primarily those serving the citizens of Lancaster County. At the time of her death, Carrie was a trustee emeritus of Franklin & Marshall College, a board member of the Lancaster Summer Arts Festival and a director of the Heritage Center of Lancaster County. Carrie is widely credited with helping to shape a thriving cultural climate here through her tireless volunteerism, generous charitable giving and remarkable fundraising capabilities. She was a founder and past president of the Lancaster Summer Arts Festival, the free festival of visual and performing arts that has grown in popularity since its inception in 1963. She was also a founding member of the Pennsylvania Academy of Music and received the nonprofit cultural landmark’s “Director’s Award” in 1993. Carrie supported arts programs for young people as well. She contributed to the Fulton Opera House’s Youtheatre program, which provides programs for at-risk, disabled and disadvantaged teens. In 2005 she helped bring the Classical Music for Urban Kids program to the Crispus Attucks auditorium during the Summer Arts Festival. In April of this year, Carrie received the “Outstanding Leadership and Service in Arts for Youth Award” from Gov. Ed Rendell. Carrie’s legendary philanthropic efforts extended far beyond the arts, into historic preservation, public health, education and the environment. She was a life member of the Lancaster County Conservancy and was given the conservancy’s Partnership Award, its most prestigious honor, in 1999. That same year, Franklin & Marshall College named its campus, which is a designated arboretum, the Caroline Steinman Nunan Arboretum at Franklin & Marshall College. Carrie’s numerous board memberships included the American Red Cross, which she served for 15 years as a Gray Lady volunteer at Lancaster General Hospital. She also served on the boards of the Demuth Foundation, Fulton Bank, where she was the first woman director, Planned Parenthood of the Susquehanna Valley, Hospice of Lancaster County, Lancaster Country Day School and Lancaster Symphony Orchestra. She was a past trustee of Lancaster General Hospital. Carrie was named a “Distinguished Daughter of Pennsylvania” and received the “Red Rose City of Lancaster Award” from Mayor Albert Wohlsen in 1979. A supporter of scouting, Carrie won an honorary lifetime membership to the Penn Laurel Girl Scout Council, and in 1996 was awarded the “Distinguished Citizen Award” by the Pennsylvania Dutch Council Boy Scouts of America. In 1983 she received the “Service to Mankind Award” from the Sertoma Club, and in 1998, the John A. Jarvis Medal for Distinguished Service from the Lancaster Country Day School. Carrie was awarded the honorary degree of Doctor of Humane Letters from F&M in 2003. It was an historic occasion, as she was the only daughter of an honorary degree recipient to be honored similarly in her own right. In May of 2009, she received an honorary degree from the Pennsylvania College of Art and Design and, in 2010, won the honorary alumnus award from Thaddeus Stevens College of Technology. She and her sister, Beverly R. “Peggy” Steinman, were inducted into the Central Penn Business Hall of Fame in 2008 and received the Benjamin Franklin Award for Excellence from the Pennsylvania Newspaper Association in 2009. She is survived by one sister, Beverly R. “Peggy” Steinman, of Lancaster; two daughters, Caroline Nunan Hill, of Lancaster and Louise Nunan Taylor, wife of William Punch Taylor III of Norwich, Vt.; and three grandchildren, Jennifer Louise Taylor, Elizabeth Duncan Taylor and Thomas Hale Hill. Nunan was preceded in death by a sister, Louise Steinman Ansberry, who died in March of 2008 at the age of 85. 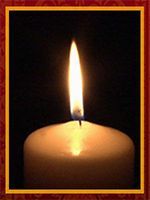 A funeral service will be held at St. James Episcopal Church, corner of Duke St. and Orange St., Lancaster, PA on Friday, July 30, 2010 at 1:00 PM. Private interment will be held at the convenience of the family in Woodward Hill Cemetery. If you wish, instead of flowers, please send a contribution to your favorite charity.